Home Investing Why You Should Start Investing Now! November is Financial Literacy Month! That’s right a whole month dedicated to educating and helping Canadians to become more financially independent, and more aware of their finances. I was asked last month if I would like to participate in this national media campaign, spearheaded by Glenn Cooke, and present my best financial tip to readers. Of course I said yes! As a financial blogger, helping to educate Canadians about their finances is one of the reasons why I write. Many Canadians are not prepared for their golden years. Many are spending beyond their means, and many are carrying huge amounts of mortgage and personal debt into retirement. On top of that, many Canadians are intimidated by investing, have not even considered an investment strategy, nor even understand the options available to them other than actively managed mutual funds. In this article I hope to convince you that you should start investing now, how easy it is, and how you can use the TD e-Series funds (instead of actively managed mutual funds) to get started. At $25 per month per fund, with no commissions and rock-bottom management fees around 0.33% or less, there is simply no excuse not to start investing using the inexpensive TD e-Series Funds. Note: If you have a large chunk of credit card debt, at a high rate of 14% to 19%, then it really makes no sense at all to start investing. Paying off your debt is your single best investment! I urge you to put your credit cards in the safety deposit box and work to paying off that high interest debt, even if it takes 3 or 4 years to do so. This is simply the best use of your available resources. Most people live to their income and beyond their means. Very few people have money left at the end of the month, and that just seems to be an economic reality in our society. Not everyone is frugal, life throws curves, and not everyone manages their finances well. However, having $25 taken out of your bank account every week, before you spend it is completely realistic. If it isn’t, then I believe you need to take a serious look at your cash-flow. So how does $25 per week really stack up? Assuming you automatically pay yourself first, that $25 per week is a contribution of $1,300 per year. After 10 years you’ve contributed $13,000! If you project a total return per year of 5%, which is completely realistic, your total portfolio would be worth $17,168 after 10 years. If your annual total return is 7.5%, then your total portfolio would be worth $19,770 after 10 years. All this for only $25 per week! How cool is that? The bottom line is you can easily find the extra $25 per week, pay yourself first, and start investing for big gains! I also want to show you how you can use the TD e-series funds instead of actively managed mutual funds, and save yourself a fortune in fees and commissions. Although most people invest in actively managed mutual funds, it’s completely negating their returns, through fees and commissions. I covered this topic over on the Dividend Pig, in Why You Should Avoid Mutual Funds. Back in July 2011, I chopped through all the complexities of mutual funds, index funds, and ETFs (Exchange Traded Funds) in Would The Real “Fund” Please Stand Up! If you aren’t up on the terminology, nor understand the difference between index funds, ETFs, or mutual funds, then be sure to check out this post. It’s a back to basics for any investor. The low-cost TD e-Series funds managed by TD Asset Management, and distributed through TD Bank, are simply the best option around for Canadian investors, with a smaller portfolio. For one thing they are not actively managed, and simply follow various S&P benchmark indices. This is why they are referred to as index funds. Although they are still mutual funds, that’s where the similarity ends. They are passively managed as they follow an index, rather than actively managed. That results in lower fees for investors. The biggest reason to invest in the TD e-Series index funds is because of the low cost. Unlike actively managed mutual funds, there are no commissions to buy or sell e-Series funds (as long as you hold for 90 days), and the annual MER (Management Expense Ratio) fees are very low. The TD Canadian Index Fund for example has an annual MER of only 0.33%. Compare that to the average Canadian Equity mutual fund with its MER of 2.4%, as discussed in this 2011 Globe and Mail article by Rob Carrick. While mutual funds are a win for the companies who manage them and the brokers who sell them, most investors are paying a premium for under-performance. According to the 2011 ETF Landscape Review, only 15.1% of actively managed mutual funds in the Canadian Equity category were able to outperform the S&P/TSX Composite Index according to S&P. When you consider the large annual MER (Management Expense Ratio) fees, trailer fees, front-end or back-end commissions mutual fund companies charge, there is simply no excuse for paying for under-performance. So why not invest in the index itself, and be on the 85% winning side? The TD e-Series funds only cost you a minimum of $25 per fund, through a pre-authorized purchase plan (PPP). 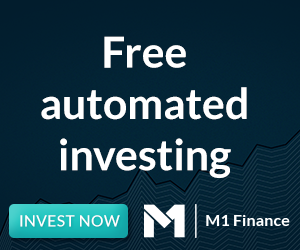 There are currently twelve TD e-Series Funds available, ranging from Canadian bond, Canadian equity, U.S. equity, to various international equity index funds. It’s a simple case of visiting your local TD branch, and telling them you want to invest in the e-Series funds. Tax optimization without the help of personal tax prep software isn’t easy material for any investor to grasp. But for more information on which e-Series fund should go into which account (i.e. TFSA, RRSP, or non-registered), please refer to a couple of Canadian Couch Potato posts, Foreign Withholding Tax Explained, and Which Fund Goes Where? Many people simply don’t start investing for any number of reasons. The bottom line is you can easily find the extra $25 per week, pay yourself first, and start investing for big gains over the long term! Investing in the low-cost e-Series index funds from TD, will give you a higher return over costly mutual funds, with all their fees and commissions. At a $25 minimum purchase per e-Series fund, with no commissions and rock-bottom management fees, TD e-series funds are a good deal. There is simply no excuse not to start investing, and using the inexpensive TD e-Series Funds to build your portfolio. Readers, what’s your take? Are you new to investing? Do you use the TD e-Series funds to invest? Disclaimer: I have received no compensation from TD or TD Asset Management to endorse their e-Series funds.I have used e-series funds and will continue to use them in the near future. Glad your participated in this year’s Financial Literacy Month! Investing is something that many don’t get into because they don’t know much about it. Great job with your post on TD e-series, simple, and you’ve explained how to get into it for next to nothing. I agree completely. I started investing last August with a TD mutual fund, then opened a brokerage account, then I opened my TD e-Series fund. I went with a US equity fund in my RRSP. One thing I will point out is that I did like you say and went into a branch to open the fund but I was told there was nothing they could do. The e stands for electronic so you can open them online, fairly easily. This has been one of the long standing problems with TD, some branches and reps are not familiar with the e-Series Funds. Instead they are promoting their regular mutual funds (high MERs) and the s-Series funds to investors. I understand it is getting better, but still a continuing problem with TD. Very helpful post especially for a newcomer like me. Thank you. I was expecting the worst experience when I went to the nearest TD branch but everything went smoothly thank God. I opened a regular Mutual Fund TFSA account (didn’t put money in it) and immediately informed the financial representative that I intend to convert that fund into an e-series, handed over my filled-out conversion form, a void cheque and requested to send the documents via interdepartmental mail. The financial representative knew a little about the e-Series but he was very helpful (Thank you Nick B.). The account was converted after about a week (I didn’t received any email notification though). As for the international funds, I need to do more research as to where to put them best for tax optimization…whether in RRSP or non-registered accounts. But see the last paragraph in “The e-Series Model Portfolio”. Basically you would want to keep the U.S. index fund and international equity fund in a non-registered account (not your RRSP or TFSA). That way you will get the taxes back in the federal foreign tax credit, but you won’t get the tax credit if its in a registered account. Obviously the Canadian bond fund should be in a registered account since interest income is fully taxable. The Candian Equity depends on really how much you are investing. You could get the dividend tax credit on the dividend income, but not it its in a TFSA or RRSP. BUT then you would be paying any capital gains if you sold units. So probably if a small amount, then hold it in a registered account. Don’t sweat it, becuase it isn’t easy stuff to understand. Thanks. Looking forward to your next post about the e-series. Found you via the Life Insurance Canada site. I agree yesterday was the best day to start investing, and tomorrow is the worst. I think a new investor might be nervous to start today because of all the press about the impending fiscal cliff. Don’t get hung up on the media and the news. They get paid by making the world a big scary place. 😉 This week and next it’s the fiscal cliff, and then the week after that it will be something else, and so on… The reality is markets have been going up steadily for a long time, they were bound to take a breather. What I do know is markets are trading lower than they were a month ago, what I don’t know is what they will do in the future. Who does? Great points – all people should start ASAP. What do you think of the new Vanguard ETFs with their low fees? People need to start seeing the options out there. I haven’t really looked at them to be honest, but Vanguard has an excellent reputation in the U.S. The thing with ETFs of course is they are suited for investors with larger portfolios – becuase of the trading commissions. I just can’t see how the investor with a smaller portfolio can utilize them. Of course all that is changing now with commission-free ETF trading among a few of the Canadian discount brokers. The e-Series Funds are only $25 minumums with pretty low MERs. You just can’t beat that for someone who wants to get into the market at a low cost. put the Two Canadian Indexes in a TFSA and the two US/International ones in an RRSP? I thought you might like this post, since it answers a couple of your questions. Chris, my assumption was incorrect. You pay withholding tax on foreign income in a RRSP. However, if you hold TDB902 and TDB911 in a non-registered account, while you will pay foreign withholding taxes, you will be able to claim them back with the federal foreign tax credit.You can’t claim the foregin withholding taxes if they are held in the RRSP. I think for now i’ve started to look into putting the Canadian Index and bond into the TFSA and setting up a Preauthorized payment as that concept I think I’m gaining a good grasp of. When I speak to friends who are new to investing I like to compare everything to expenses they can relate to. $25 a week – maybe that’s pizza and a few beers on Friday night. If you invest that same amount of money now (yes they can even still have the pizza and beer) then come 30-40 years down the road, that money will be able to buy you that new car. Pretty simple! The TD e-series funds are a great way to invest at a low cost. My wife and I each opened an e-series account, then transferred funds from another institution. Now we each make a monthly contribution via a transfer from our chequing accoint. Easy Peasy!! $25 per week really adds up over time! It just shows the power of time and patience. Stick to a plan and pay yourself first. Ninja, I am new to investing. I have a simple question that I am unable to answer myself. Supposed the Canadian Index was priced at $20 five years ago and the current price is $18, does that mean I am losing $2 per unit, no matter how high the index could have gone up during the five years? Did I just “lost” the five years of investment? I know there could be dividends, and I have a feeling we can’t just look at the starting price and current price, but I just couldn’t figure that out myself. Having said that, great post Ninja. I am new to your blog and looking forward to reading more from you! Hi Jake, the Index Fund will follow the Index exactly. So in this case the TD Canadian Index Fund will follow the S&P TSX Composite Index. In your example, you have lost $2 per unit or a -10% return. But you haven’t accounted for any income, such dividends and distributed capital gains. When you buy any kind of fund, you can re-invest your income into additional units. If you were to do this, then your total return would be much higher, and would have likely offset your loss. I might also point out, that buy buying each fund at $25 monthly, you have averaged your cost vs buying a big amount at one time. This dollar cost averaging helps to smooth out the tops and bottoms. Thanks for you explanation Mr Ninja! That’s exactly why I feel it’s very difficult to calculate the exact rate of return. TD recently changed the minimum holding period of these funds to 30 days. Agreed. People need to start and stay invested today. Agreed. Media’s job to scare everyone…and it’s working. Disagreed. Index and passive vs active mngd funds is not a complete winner. I don’t work for IA or Franklin Temp but I know their QV balanced and Tactical Income both beat the index net of fees and the Bissett CDN High Div smokes the index as well…”media” and blogs paint all funds with a big brush that they’re too expensive. You can have your index funds…. Agreed. Dividend investing smart for a while for sure. Great post and website! I just deposited $5K into an RESP account with TD Waterhouse today. My boys are newborn. What would you suggest I choose in TD e series to invest in? For the first 5 years the accounts will be maxed out for both with deposits made quarterly. does it make any sense to invest on all three TD US index e series funds (US, Nasdaq and Dow)?